One cannot establish a poultry farm without thinking of income from the farm product. Some people intend to invest in poultry farm business but certain things demotivate them towards this business. They think of it as just waste of time, money and resources. But I cannot agree with them as poultry farm business is a lucrative business in the world. I do believe you will not be disappointed in this business if you read my article with great interest. In this article, I would like to discuss on 9 Lucrative Advantages of Poultry Farming & Business tips in this article. Before going to the discussion, I would like to refer Poultry Farming Advantages in the below. Poultry Farming Business is a great source of generating income. So, you can invest money in this business without any hesitation. Everyone wants to be the boss of their business. Business always keeps them busy. Poultry farm will create employment opportunities for you. Besides, it will add your value to the society. To run poultry farm business, you will not require a huge amount of money. You can start this business with a little amount of money. You may rapidly return on the investment through this business. It may be a self-explanatory statement to you. But imagine in which business you can make the profit from it in less than three months. So, you can venture into this business. Poultry farming business is a nonstop source of income. You can earn money constantly either on daily basis, weekly basis or monthly basis. For example, you can earn money through the sale of egg or meat daily, weekly or monthly. You will require a little amount of water for poultry farm business. You will require water merely in the drinker and in washing the equipment of the farm. So, you can run this business. The poultry waste is a great source of fertilizer. Farmers use it as the manure in their vegetable garden. So, you can not only sell the poultry waste to the vegetable farmers but also can keep it for your garden. It will save your money. So, start this business without any confusion. If you work in any institution, you can also work on a poultry farm as a part-time worker. Besides, you can leave your job and give full concentration to this business. I am 100% sure that you will not be frustrated in this business. Poultry eggs and meat have a great source of nutritional value. You can get more protein and essential amino acids form poultry eggs and meats than other eggs and meats. Besides, poultry meat has less cholesterol content in comparison to other meats. For this reason, you can start this business without any conflict in the mind. In summing up, I want to say you that you will not be regretted if you begin this business after reading this article aptly and minutely. 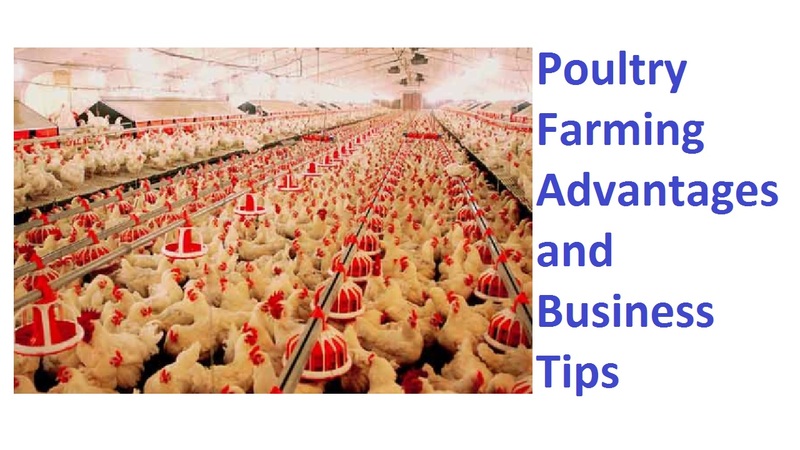 Before running this business, try to remember the above 9 Lucrative Poultry Farming Advantages and Business Tips.